Moving can be surprisingly stressful. You can be unsure about exactly what needs to be done and when, and everything can feel upside down or up in the air. If you’re making a business or local residential move in Poway, our experience and expertise can make everything less worrisome. It’s best to get started at least a month before the big day. Just ask us for a free in-home estimate on moving and packing and we’ll help you start getting organized and ready. Or check our packing tips here. 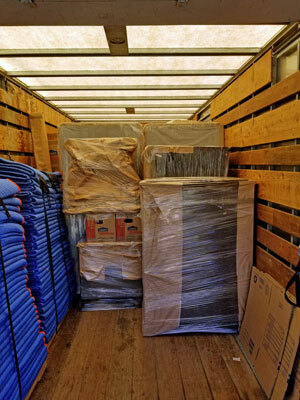 We’re the local Poway moving people trust — just check our Yelp and Google reviews. And we offer senior and military discounts. Family owned and operated since 2002, we’ve spent over 15 years building and maintaining our reputation for integrity and courtesy. 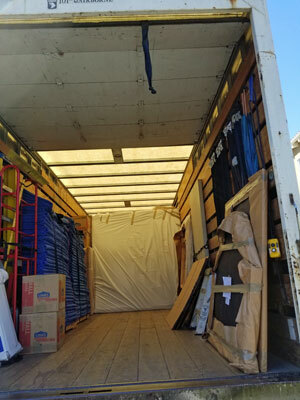 Our professional movers are held to high standards and are not temporary workers. As a local Poway moving company, we see the big picture in our business. So you can count on a complete estimate and explanation with no hidden surprises as well as on-time moving day arrivals. We live up to our promises and never give fake excuses. So call us to request an estimate for moving in Poway. We’re fully insured and licensed by the California Public Utilities Commission (CAL T 189696) and the Federal Motor Carrier Safety Administration (US DOT 1154565). We tailor everything to your needs and preferences. Whether you need local moving to a studio apartment or a mansion, we have you covered. For your residential move, you can choose full or partial packing, or pack everything yourself. We’re the experts in padding furniture and recognizing fragile items. Just let us know about any items of personal value. Unlike many Poway moving companies, we’re happy to move only furniture and major appliances, or just a few items. Our business relocation services take moving details off your plate. Whether retail or office moving we’re quick and economical. Cubicles, modular furniture, heavy file cabinets, business electronics? No problem! 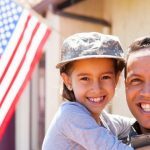 Although not exclusively a military moving company, we employ veterans and understand the personal and logistic challenges of military moves. And we support our military families with generous discounts. Our staff is experienced in dealing with TOs (Transportation Offices under their various nomenclatures) and recognize the regulations and entitlements of temporary duty or permanent change of station. Welcome to the “city in the country.” An hour’s drive from Camp Pendleton and 40 minutes from San Diego, the City of Poway is a great place to live and work. The Poway Unified School District (PUSD) outperforms most districts in the state. It currently has 37 locations to serve the city’s 16,128 households (2010 census). That includes 25 elementary schools (kindergarten to 5th grade), 6 middle schools (6-8th grades), and 6 high schools (9-12th grades) plus a K-8 school and a home-schooling program. The City of Poway provides trash, recycling, water, and sewer utilities directly (https://ecare.poway.org/ecare_live/). Gas and electricity are from SDG&E, and the local cable companies are Cox Communications and Time Warner.